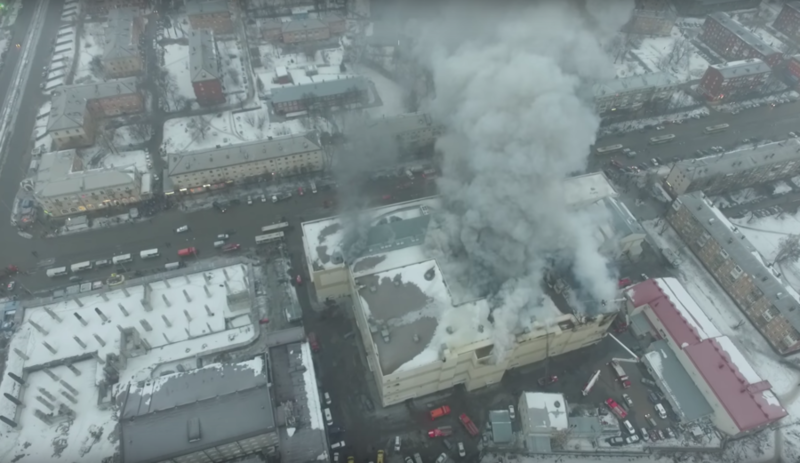 The death toll of the deadly blaze in Kemerovo shopping mall has risen to 64 people, according to Emergencies Minister Vladimir Puckov. “64 is the final number,” he said. The bodies of six victims have yet to be located. 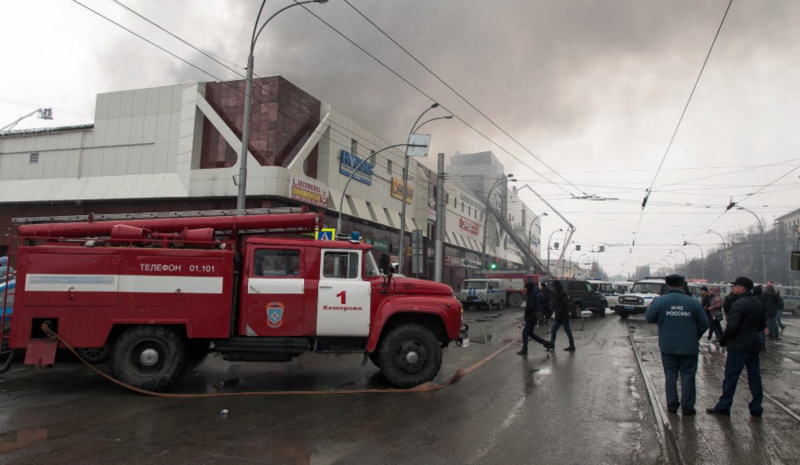 Earlier reports suggested that 11 children were among the dead. 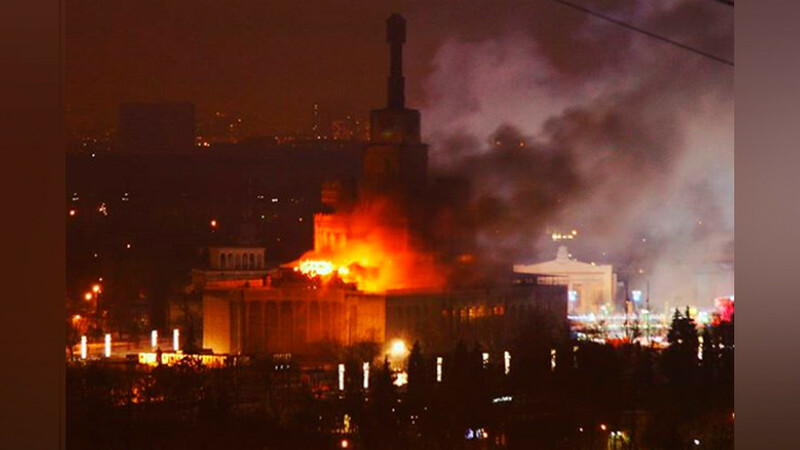 “We continue search and rescue efforts, there are people missing, we registered them,” Puchkov added. 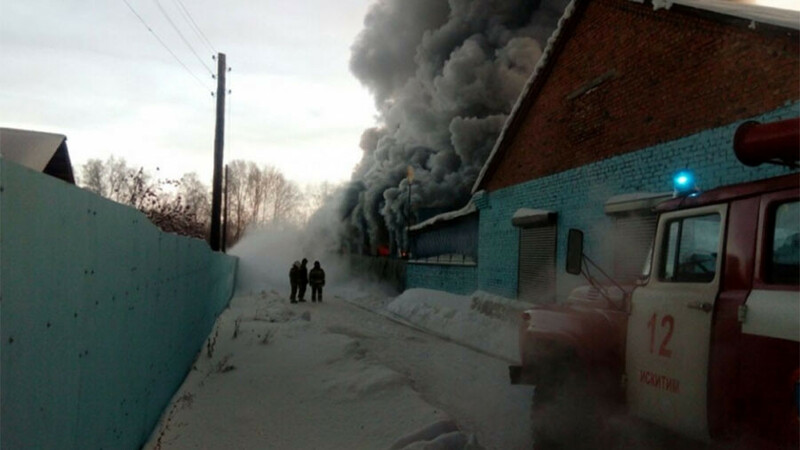 Rescuers are working in dangerous conditions, as the building’s structure is no longer secure. Tragically, some reportedly had left their children unattended in one of the mall's cinema halls or at the playground. Some distressing scenes were captured on video by onlookers. The fire and toxic smoke forced some people to jump out of the windows to try and save their lives. 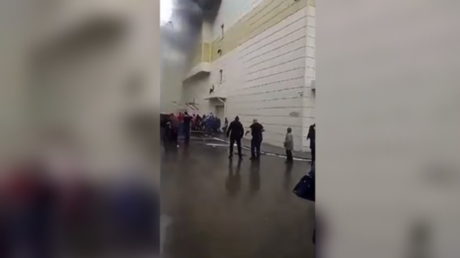 One video, obtained by RT’s video agency Ruptly, shows a moment when a young man jumped from the mall’s third floor. The man hit the canopy on the ground floor, before landing amidst a crowd of people below. It remains unclear whether he survived the jump. A video, purportedly shot at the burning mall, shows a group of men trying to break a locked door, apparently located at an emergency stairwell. 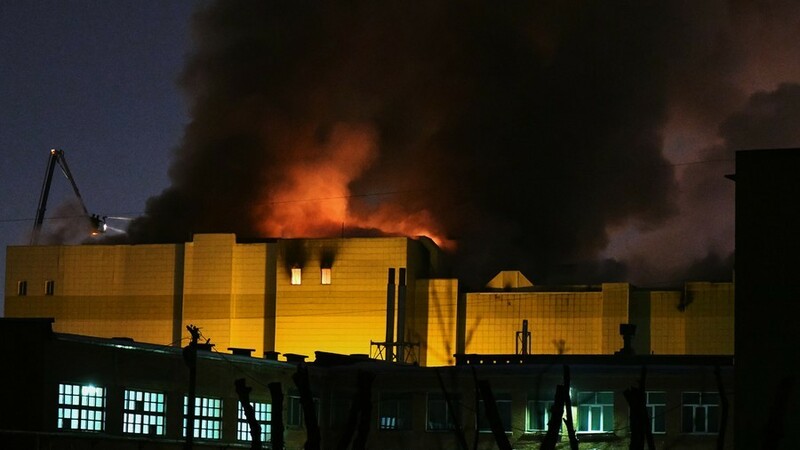 Thick smoke engulfs them, while flames can be seen just meters away. RT was unable to independently verify the authenticity of the footage.